Um, Marvel? We know that artist Phil Noto can't physically draw all the Star Wars comics you publish, because you publish a lot, and he's only human. But can you please make sure he draws the eventual Rogue One comic? Because, damn, just look at this. Noto has already blessed the world with two stunningly beautiful Star Wars comics this year: the Chewbacca miniseries, and the brand new Poe Dameron comic, which captures the likeness of the dashing X-Wing pilot so well that it honestly feels like some dark, arcane magic was used to transfer Oscar Isaac to the page for our pleasure. The likenesses are beautiful. Framing the Death Star and the specter of Darth Vader's mask in the Alliance starbird is genius. I want a huge print of this for my wall. Just marvellous stuff. 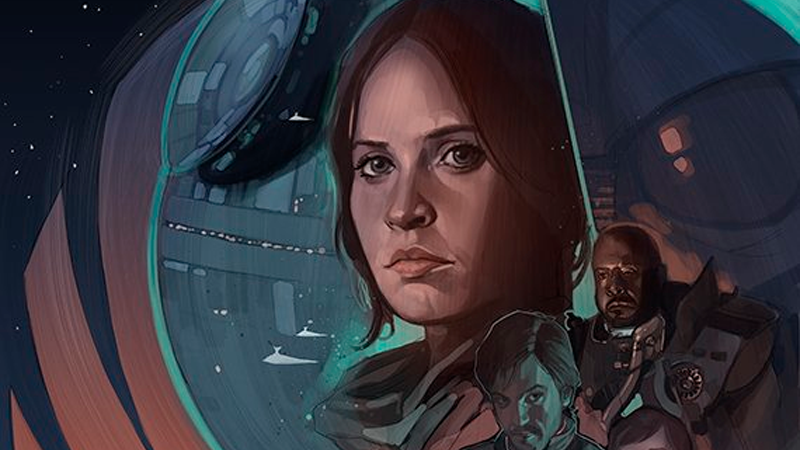 Speaking of things that are marvellous, Marvel does have that Rogue One prequel comic coming out. Noto should draw that, too. Actually, we take what we said earlier back — let's make him draw all the Star Wars comics. His hand may fall off and/or he may die from exhaustion, but until then, it'd be totally worth it.